As I mentioned in my last post, I am really trying to make an effort to eat healthier. My kids think I’ve gone overboard. In fact, they have been complaining that they haven’t been to McDonald’s in two months…wow, they are so deprived…eating good quality, home made whole foods! I’m trying to find healthy, clean eating recipes that they can enjoy too. 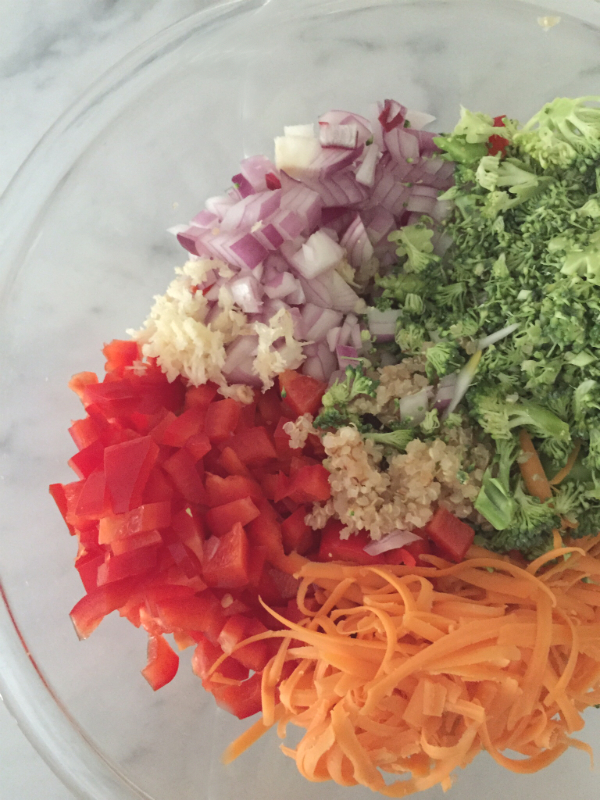 The struggle is real when it comes to packing lunches…trying to stay away from sugar and flour. A friend told me about some quinoa bites she made and sent over the recipe. I gave them a try, with my own twist of course, cause that’s how I roll! 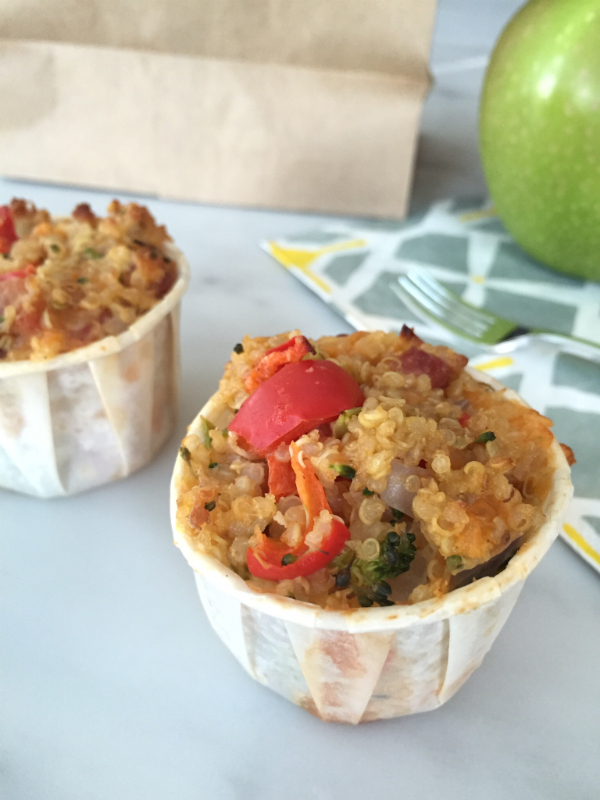 These bites are super yummy…not only are they perfect to pop into your kids’ lunches, but they make a healthy appie! Eat them warm or store them in the fridge and eat at room temperature or reheat them in the micro. In a medium saucepan, combine quinoa and broth and cook according to package instructions. Let cool. This can be done in advance. Spray mini muffin tins with olive oil spray or coconut oil spray. 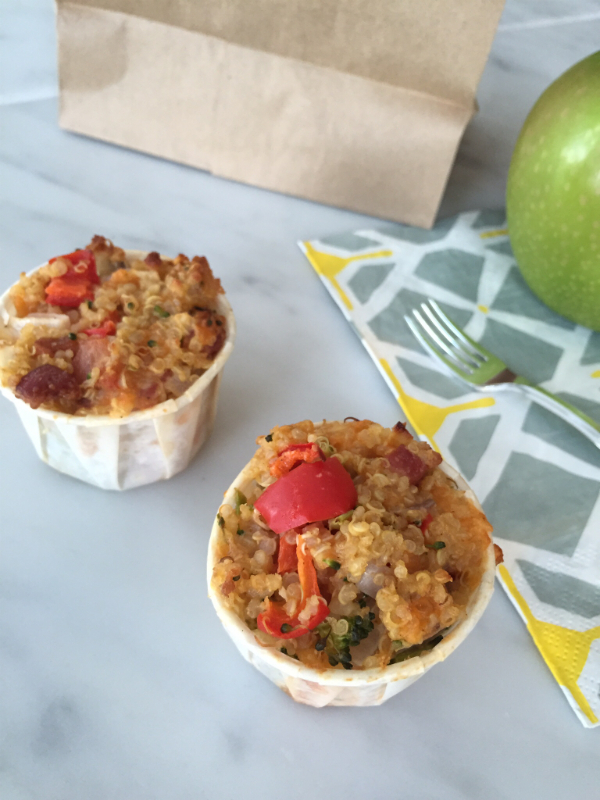 Put a heaping tablespoon of quinoa mixture into each muffin cup and pack down. Remove from oven and let cool for 5 minutes and carefully remove from tins and cool. 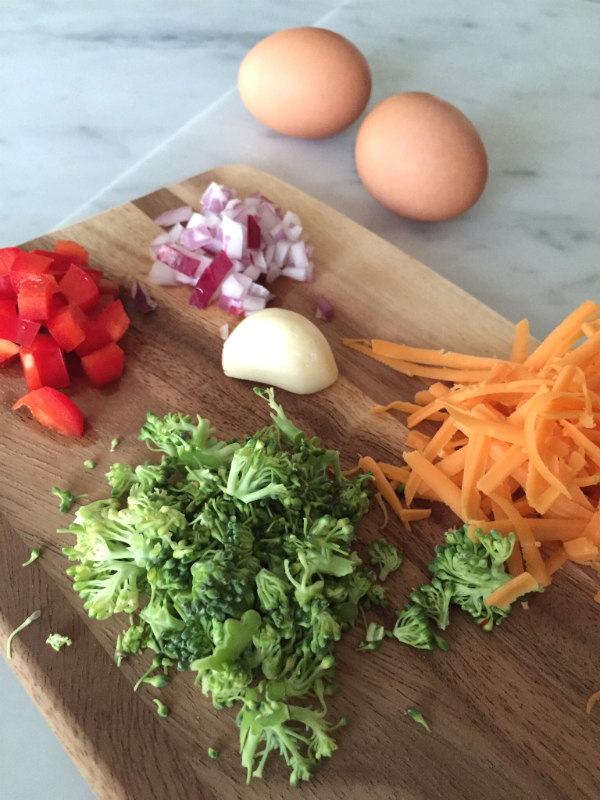 A few notes….make sure to chop up your veggies super small…larger chunks make the bites fall apart. I had a bit of a challenge getting the quinoa bites out of the tins. I had some 2 oz. Solo paper souffle cups and I used those as well. I like the bigger portion size..better for lunches. Just throw in a mini plastic fork! 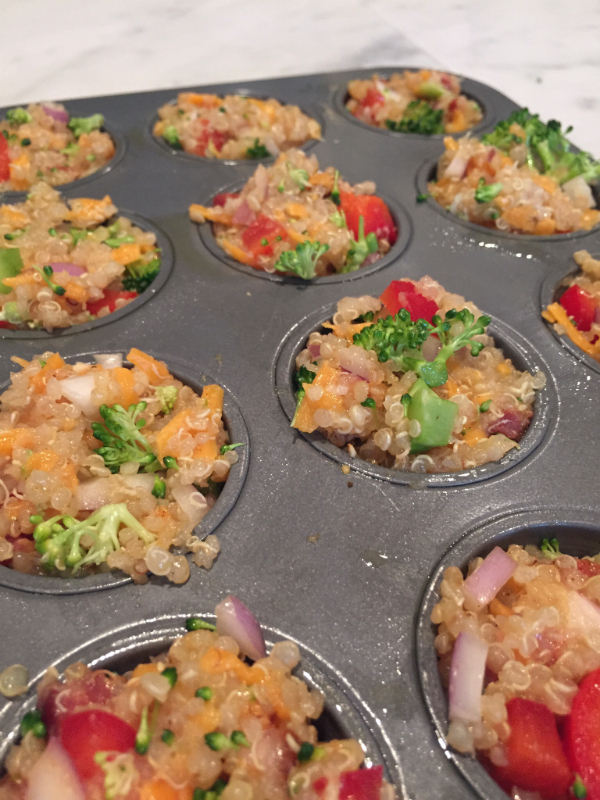 If you do use muffin tins, make sure to let the bites cool before you take them out!